Cwm biga farm and green tourism centre. 2012. Date to be arranged. Contact me if interested. Each week we cover a different gardening topic, giving you the confidence and the skills to enjoy your gardening tasks. Covering topics such as: Pruning, propagation, veg growing, ornamentals, lawns & meadows, winter hanging baskets, greenhouses, pests& diseases, tools & plant naming. For beginners and experienced gardeners. 2.5 hrs each week for 12 weeks. 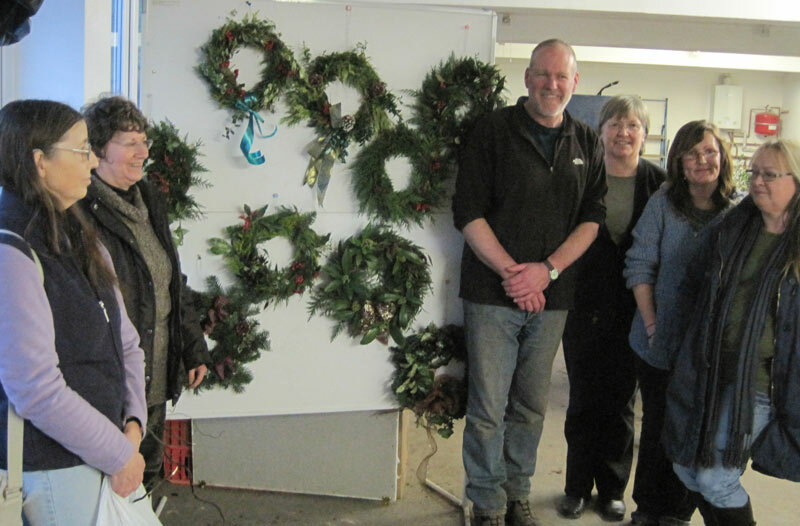 Christmas wreath making: Last weekend in November date to be confirmed. Garden Design. Date to be arranged, contact me if interested. e. You will learn design considerations, surveying, scale drawing and plant identification. You will complete a design of a garden of your choice and a planting plan. Starts: Feb to June (including breaks at Easter & May half term). Contact me if interested. A 5hr workshop where you will learn about potting mixes and make yourself some plants for free that you can take home. This session is open to all ages and abilities. Bring lunch, tea and coffee provided. For gardeners wanting a deeper understanding of how and why. Learn about growing a wide range of fruit and take home a tree you have grafted. Pruning is a great way to ensure your fruit trees remain healthy and productive. You can also train trees to grow in particular ways and produce more fruit. Learn about how, when and what to prune this winter. The session will cover both theory and practical sessions about winter pruning. Christmas decorations and wreath making.